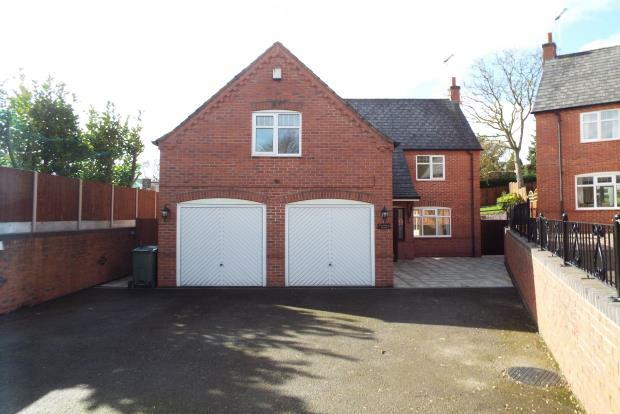 5 Bedroom Detached House To Rent in Leicester for £1,595 per Calendar Month. Joseph Close, Cropston really is one of the best properties we have seen on the market. Location is also a key factor when adding up the benefits to this amazing five bedroom detached property. The property briefly comprises of large entrance hallway with large stained glass window which allows a lot of light, good sized lounge, conservatory, french doors leading to patio doors, immaculate open plan kitchen with space for a dining table to have your breakfast on in the morning, separate utility room with enough space for a washing machine. Upstairs is large and spacious with five bedrooms, the master bedroom with ensuite including shower cubicle w.c and sink, second bedroom also with an ensuite including shower cubicle w.c and sink,bedrooms three and four both double bedrooms. Another separate room which is perfect to use as a study or even a temporary bedroom. Externally the property really excels itself with a tiered rear garden and double garage and also the capacity to park at least four cars on the driveway. There are two houses on Joseph Close which does give you the feel of a gated community.